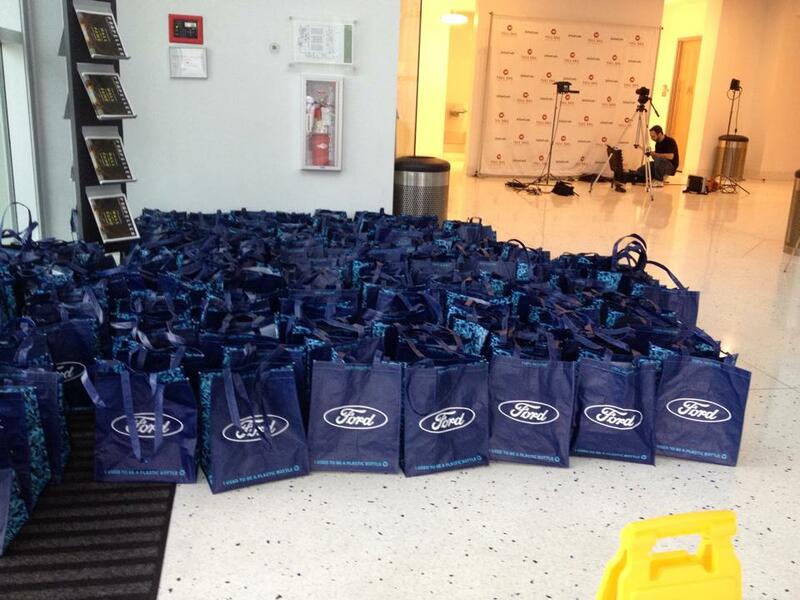 These are Goody Bags we have already distributed in the past. This is to give you some ideas of how others are taking advantage of using Goody Bag Marketing. Custom Goody Bag Marketing Campaign. Goody Bag Marketing is a direct solution when you want to advertise to both new and old customers. Using Goody Bags as a way to draw in event guests and customers is part of both the short term and long term marketing needs. 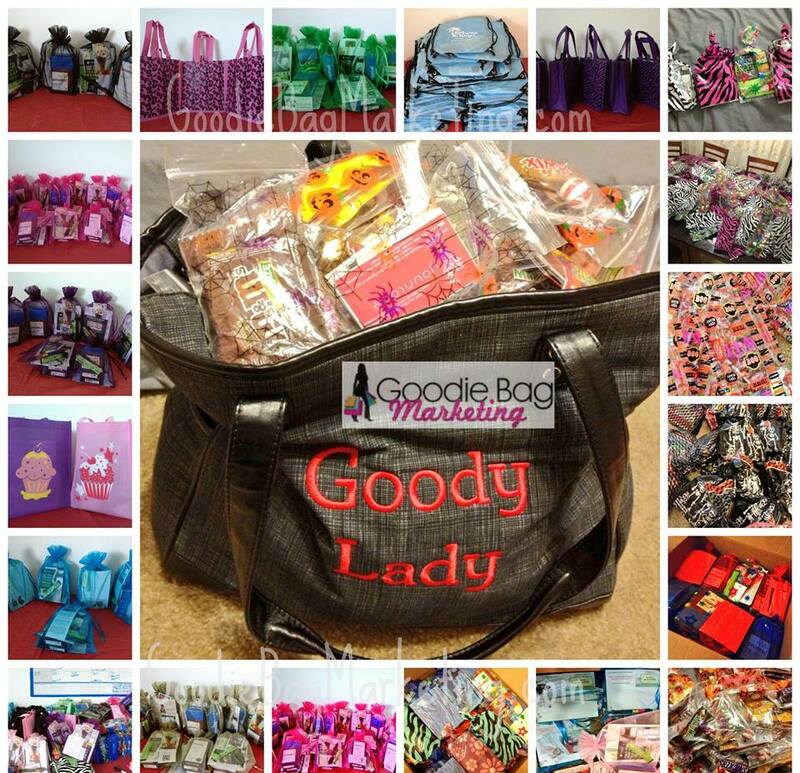 You can also and very easily track the progress and results of each Goody Bag Marketing campaign. Short Term Results – Gives immediate attention directed at one particular call to action. Give them an offer they can use within five days. Gets them to experience your product and services right away, without any other expectations except to try it out. They are more willing to give it a try because they asked to try it out. They requested the call to action from you. Long Term Results – Giving a longer trial offer such as two – four weeks worth lets the customer get a real life glimpse into their new future. Once they see, think, and can feel why they can no longer go without your premium value, they are more willing to continue using the product and service. Give them a way they can get some VIP treatment, get on a special customer list for sample offers, give exclusive offers, and have a few ways they will be reminded of your product and service. They will become longer term customers. Track And Log Results – With our Goody Bag Planner there is easy to use tracking log for you to say up to date with each Goody Bag Marketing campaign and keep tabs on each person who requested one. This helps you analyze patterns with one particular campaign, customer or group. Customers Willingly Give You Permission To Advertise To Them Yeilding In More Targeted Trackable Results. Customers need to know what the product or service does for them. They need to know how it will work for them. When they get a Goody Bag with your samples, they can immediately engage with everything about your company. When they get your coupons and discount codes, they can immediately take action to buy from you. Goody Bags fulfill both an immediate need and a long-term need for customers, depending on how well thought out your campaign is. Which is why we have put together a Goody Bag Marketing Campaign Planner With Tracker for you. Fillers will get customers using their senses, emotions, and thinking skills too. Choosing fillers that get them using their senses will then lead to their emotional needs and wants and ultimately moves them into their thinking skills on what the next step is to get a hold of full sized products and a full set of your services. Goody Bags fits into every part of marketing your company as a whole. They are not interruptive because the customer has requested them. Inbound Marketing – Use them as a way to attract customers to your blog, to a specific offer, even as informational hands-on pieces. Have short to the point content with a sample attached. Your call to action will lead them to check out some blogs, videos, and other forms of content you have put into place. Outbound Marketing – Use them as a call to action for various campaigns such as inside event bags, direct mail, TV and radio commercials, email blasts. Direct Mail Marketing – Directly mailed Goody Bags can be tracked and followed up regularly. They can be used as part as a monthly subscription. Goody Bags that are directly mailed o customers are more focused and targeted. Customers are much happier getting a Goody Bag instead of some other type of boring ad. Email Marketing – Giving Goody Bags as part of your opt-in offer will increase your email subscription by 500%. People are more inclined to give you permission to advertise to them two ways! 1. Get permission to be added to customers inbox. 2. Get their address to mail them a personalized ad; Oooops I mean Goody Bag. Event Marketing – Use them for events in many ways. Attract more guests to show up at the event. Get guests on your event listings list. Attract guests to your booth and gets them engaged with the event and your company. Event giveaways are a huge attraction magnet. For some events, you can “attend as a vendor” without actually having to physically be at the event. Customers take everything home with them where they can fully explore and relive the event over and over again. Acquisition Funnel – Use Goody Bags as part of both customer acquisition and customer research data collection. When you put together a survey, offer them a Goody Bag that is “customized” just for them! You can have different types of Goody Bags that will get customers into your different funnels. 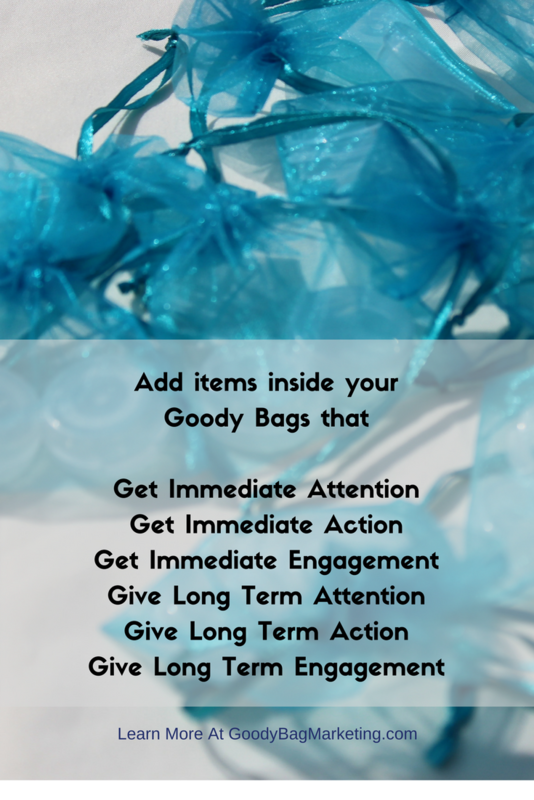 Retention Funnel – Use Goody Bags to rekindle dormant customers. Get them to subscribe to a monthly Goody Bag which will give them a great reminder for reordering. Show them about new products or new variations available. Gives a direct way to give customer appreciation. Targeted Marketing – Goody Bags can be very specific and used for a very focused campaign or group. You can have one for new customers, one for older customers, one for VIP, one for those who need a specific type of product or only have a specific interest. Because they are requesting their Goody Bag, you can sort of customize contents according to the data you have collected from them. This is exactly how we are able to distribute your Goody Bag Marketing campaigns with us. We collect data from Goody Bag Requests to ensure we are not randomly sending unwanted ads to that specifc customer.